Medicago polymorpha (California burclover) is a perennial/annual forb/herb (family Fabaceae) found throughout California in disturbed areas such as pastures, roadsides and vacant lots. Although it is considered good forage for livestock in pastures, it can out-compete native species in natural areas. 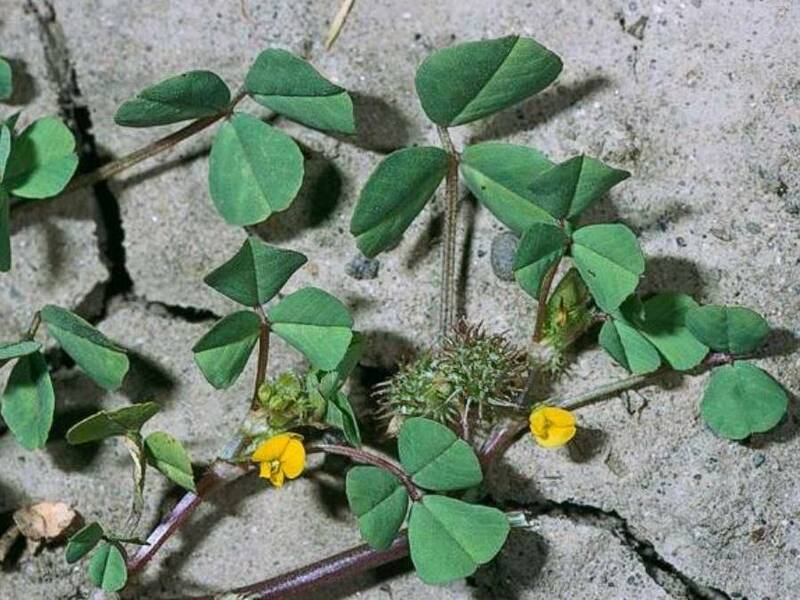 Despite its name, California burclover is native to the Mediterranean.